Nat King Cole was born in Montgomery, Alabama on March 17th, 1919. He is best known as a jazz musician but has also appeared on several TV shows and films, being the first African American presenter that many white families had ever seen. Nat King Cole became a welcomed face on TV and his popularity has carried on long after his death in 1965. In the 1950’s, Cole emerged as a solo artist and had several hits such as “Unforgettable” and “Too young.” During this time, he worked alongside and befriended famous artists such as Frank Sinatra and Louis Armstrong. Nat King Cole suffered racism first hand while on tour in the South and struggled to form a place within the civil rights movement. Cole preferred to be an entertainer rather than an activist and was rebuked by other African Americans. After a drop in popularity, Cole’s presence in the charts returned in the 1960’s. He won over his fans with his hit “Those Lazy Hazy Crazy Days of Summer” in 1963 and his last chart hits were to be in the following year of 1964. Cole would then shift his voice to that of the TV screen, having already made his TV debut in 1956 as the first ever African American to host his own variety show. The “Nat King Cole” show only lasted till 1957, and it was in the 1960’s that he would also perform in film roles. Cole’s first appeared on the TV screen with some minor roles was as far back as in the 1950’s, but he will always be remembered for his short lived TV show in which his guests and entertainers would also be of African American. Nat King Cole was married twice, the first time at the early age of 17. He divorced his first wife, Nadine Robinson in 1948 and went on to marry fellow singer Maria Hawkins Ellington shortly after. They had five children, one adopted daughter and four children whom he had with Maria Hawkins. 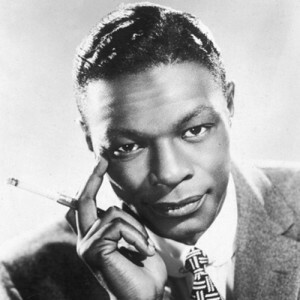 Nat King Cole discovered he was suffering from lung cancer in 1964. He died the following year at just 45 years of age, although his legacy carries on. Since his death, Nat King Coles’ music is still popular, his rendition of the “Christmas Song” is still a firm holiday favorite. His daughter, Natalie has also become a star in her own right, recording a posthumous hit “Unforgettable” in 1991, allowing his memory to live on in the ever popular duo hit. Nat King Cole achieved status as not just a famous jazz pianist, but a television face for thousands of Americans every day. Lack of support from a sponsor was the reason for the demise of his otherwise popular TV show, his name being truly a household favorite amongst many African Americans.